Pentagon leaders have become increasingly interested in the need for innovation, meaning the new technology that comes from Silicon Valley but also the game-changing advantages that can come from the Defense Advanced Research Projects Agency. Part of the responsibility to ensure the Department of Defense stays on the edge of what’s possible falls to Steven Walker. 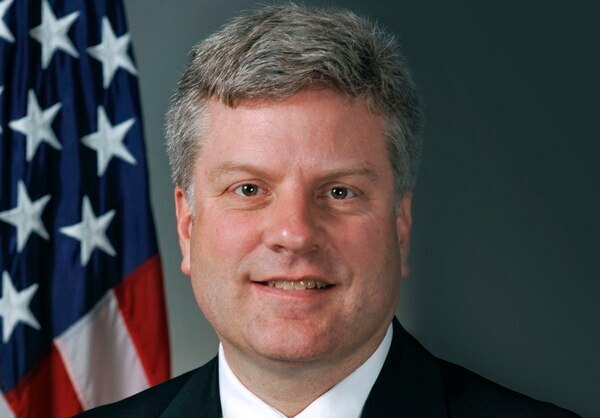 Walker has served as the head of DARPA since November 2017 and previously worked as the agency’s deputy director for five years. 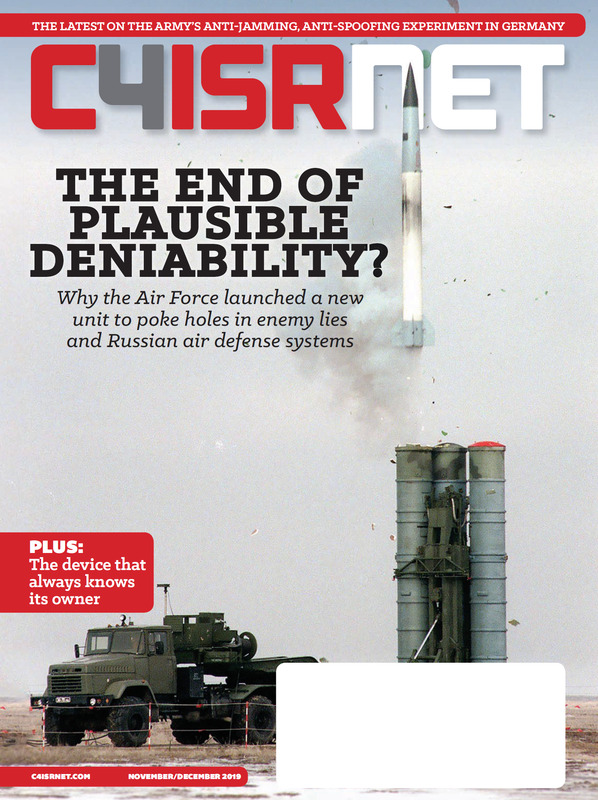 Walker spoke recently with Jill Aitoro, C4ISRNET’s executive editor, about the state of innovation. C4ISRNET: The relationship between the Defense Department at large and the tech community has been in the news. DARPA has a reputation for being an innovator within the Pentagon. What’s your perspective of the relationship between the Department of Defense, more specifically DARPA, and the tech community? STEVEN WALKER: Many of the early investments that led to a lot of the technology used in Silicon Valley, and elsewhere, were sponsored first by the Department of Defense and by DARPA, more specifically. It’s important to remember where a lot of these inventions came from: early government sponsorship of research. Certainly, in the media, we’ve seen some struggles between the Defense Department and the commercial sector. At DARPA, I think we’re on solid ground there. We’ve got lots of relationships with the commercial world. That’s where we go for our electronics to bring back into the defense sector. I’ve got an initiative called Electronics Resurgence Initiative that’s specifically targeted at the Intels, the Applied Materials, the NVIDIAs of the world that are on the forefront of developing electronics. We need those in the Defense Department. And so, that’s what ERI is all about — working with that commercial sector, bringing that into the DoD. Artificial intelligence. DARPA has been investing for about 56 of our 61 years in AI. We’re starting a big, new AI initiative, $2 billion over five years. Who are we working with? Universities, small companies. We’re even working with Google. They have decided to come on board and work some defensive AI projects with us. One project is looking at deep fakes and how to understand whether a picture or video has been tampered with. Something they would, obviously, be very interested in. DARPA is working well with the commercial sector, with the private sector and, specifically, with high-tech companies all over the country. C4ISRNET: You bring up Google and they had a controversy, in terms of working with the Pentagon, but my impression was that a lot of this was about communication. We hear Microsoft now coming forward and saying, “We are working with the Pentagon. We’re proud to work with the Pentagon.” Is this more about culture and messaging? WALKER: I don’t think it’s about these two cultures not being able to align. We are aligned in many different areas. I think it’s messaging, poor communication, and we’ll get there. We’re working with them now. We’ll continue to work with them; it’s important for our country. Government sponsors long-term research and that’s a strength of our country, but the performers, the researchers, the folks who are actually doing it are mostly in the private sector and at universities. We’ve got to maintain that private sector and university edge that I believe we have. C4ISRNET: I keep hearing people say the most significant innovations used to come out of the Defense Department, but they now come out of private sector. Is that fair? WALKER: I don’t think it’s fair, because I think if you look at true, early innovation, the federal government still sponsors most of that at universities and at small companies all over the country. It is true that there is large private sector investment. That has increased, while the government investment has decreased. I love seeing what SpaceX is doing, or other companies. It’s fantastic. DARPA was involved in some of that early-on work with SpaceX and that is a strength of our country. We want to foster that, but if you want to look at research that’s being done for 20, 30 years from now, it’s largely funded by the federal government and we’d like to think DARPA funds most of it. A lot of it anyway. C4ISRNET: What needs to change to better enable faster cooperation and tech innovation and partnership with the commercial tech community? WALKER: Certainly, we’ve got to look at our own processes within the government. There are lots of people in Silicon Valley and elsewhere that would love to work with the government, they just can’t afford to take the time involved. DARPA has always used other transaction authorities. It’s really being talked about now, but actually a lawyer and a contracting officer at DARPA, about 25 years ago, developed it. And we’ve always used them. We will continue to use them. One thing we’ve done recently with our AI initiative is we’ve decided that we would use OTAs to put million-dollar contracts on for 18 months to look at a whole range of AI and how it could be applied in different fields. But we want to do that quickly, so from announcement of a topic to awarding a contract is 90 days or less. We’ve got seven topics out there now. We release one a month so we don’t overwhelm the contracting office, but it’s working and all the awards have been 90 days or less. I think that’s pretty fast. 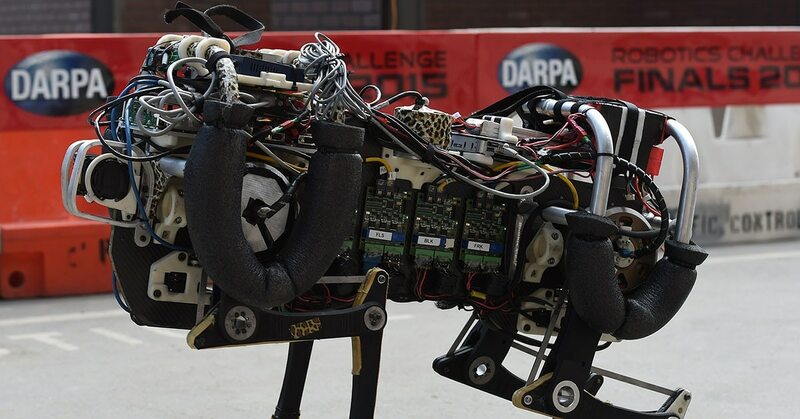 C4ISRNET: Is that process to transition DARPA innovations to the services working? Do you feel the services have enough of an open mind about what could be done with these technologies? Or do you wish they were a little more involved? WALKER: They’re involved with us. I would say that. They have lots of things to think about. Technology is one of them. We’re working with all the services on this vision, right now, and are trying to figure out, in this era of competition with peer adversaries, how do we use that to build the architectures, new war-fighting constructs, and then what are the technologies to enable that? And that’s the DARPA piece, but we’ve got all four services right with us. Transition’s hard. It’s always going to be. I don’t see any easy ways around that. WALKER: As you know, Mike Griffin, my boss, has laid out nine tech areas, and I believe he’s going to add a tenth, but those would be the technology areas I would start with. But if I could pick one — and I like them all, especially hypersonics; that’s my background — I don’t like to predict the future, but the pace of technology is moving so quickly right now in biotech. DARPA set up a biotechnologies office five years ago. We’re seeing incredible advances in understanding how the brain works and how to tap into that — and how to think about brain machine interfaces as we move into this whole area of AI, how do you use AI and a better understanding of the brain, to actually control robotic arms with your thought and build sensing into that arm? We’ve done that already. Where does it go from there? So, that’s one aspect of biotech that I think could change the world. The other is gene editing and a lot of focus on that. There’s so much potential and so much opportunity for misuse. We have a program called Safe Genes that’s looking at, how would you reverse a gene edit if it went badly? We spend a lot of time thinking about the ethics involved with this technology, but those two things, human-machine symbiosis with sort of understanding the brain better and then gene editing I think are going to change the world, hopefully for the better. C4ISRNET: What about gene editing? How does that translate to the military? WALKER: Right now, it takes two years to develop a vaccine. We’d like to do it in 60 days or less, using gene-editing techniques and being able to actually use the body to develop its own antibodies in response to an unknown virus. And there are gene-editing techniques we’re looking at to do that DNA-encoded and RNA-encoded antibody therapies. This is all basic research at this point, but we have a program called P3 that would combine that technology with ways to get into the body and other things, in order to get this thing developed in 60 days or less for protection against an unknown virus.